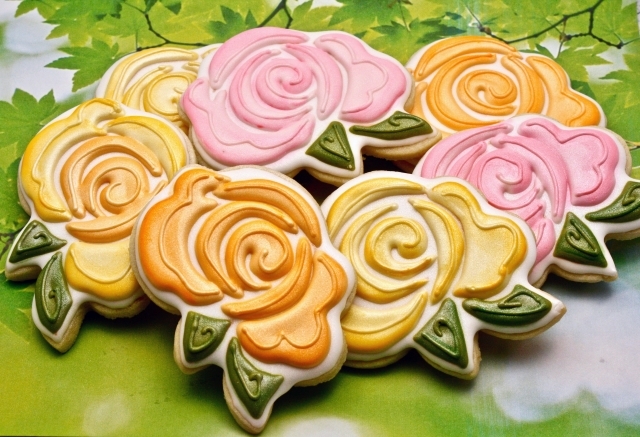 When I first saw these unbelievable rose cookies from Rosemary's Sweet Kissed Confections I was immediately IN LOVE!!! 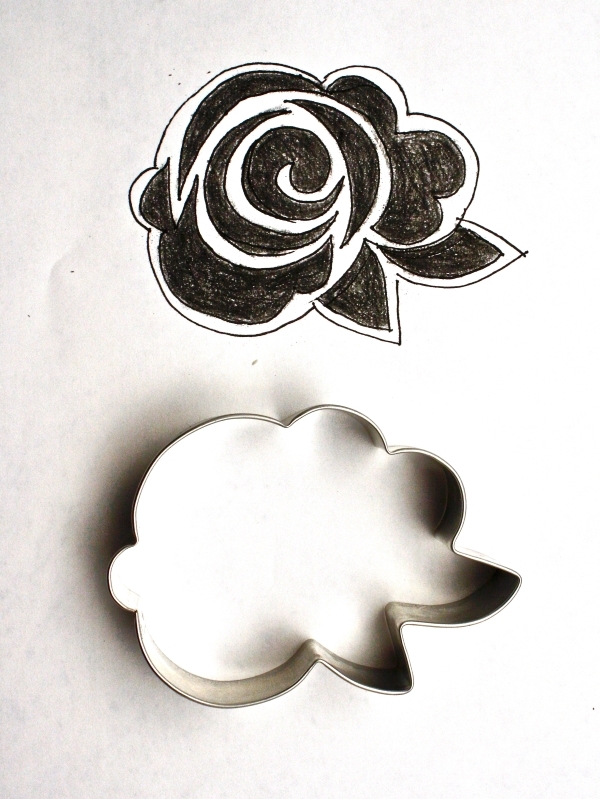 I didn't even realize that she had used my rose cutter to make them! And then throwing all social caution to the wind, I asked Rosemary if she would be willing to show you all (ME) how to make them...and she GRACIOUSLY AGREED!!!! Isn't she the sweetest??!! And best of all -- it's PERFECT timing for wedding season!!! 1. 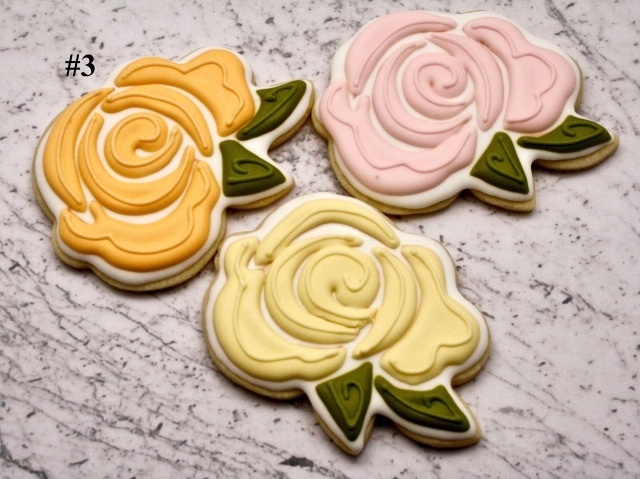 Flood your LilaLoa rose cookie with white RI and allow it to set. 2. Before I ice the petals, I trace the cutter on paper and sketch in the petals. I have tried just winging it while singing and daydreaming, and usually end up scraping off the icing; I hate to waste that wonderful icing, so I eat it, feel remorse, hate my cookie, myself...sketching is valuable to me. Six or seven petals seem to work well. Use a food safe marker to set the outlines of the petals and you too can avoid guilt, remorse, and that sugar condition in your stomach that does not see the need to fix dinner tonight. Like that never happens to me. 3. 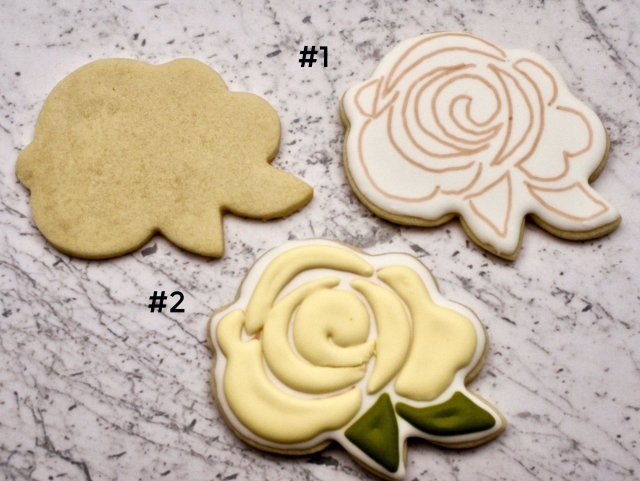 Fill in petals and leaves with your colored icing using a #1.5 tip or #2 tip. Allow to completely dry. 4. Using a #1.5 tip, add the detail lines on the petals and leaves. This is a great opportunity to cover up those pesky sunken areas. Allow to dry. 5. At this point, you can decided if you want to shade the petals or leave as is. 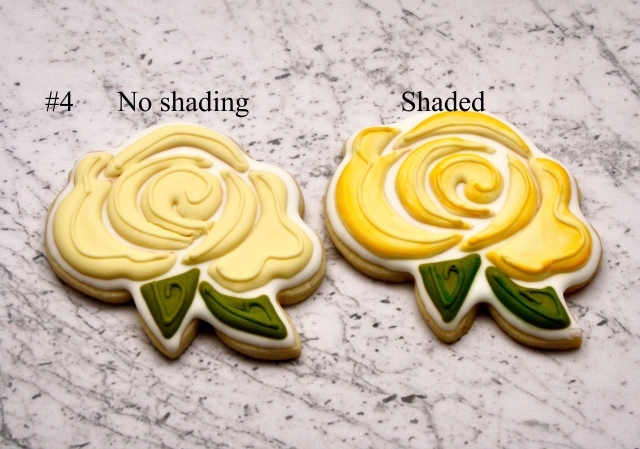 My mantra is that "Life is not flat" so I love to give depth and dimensions to my cookies. I work with Wilton gel colors and water. 6. 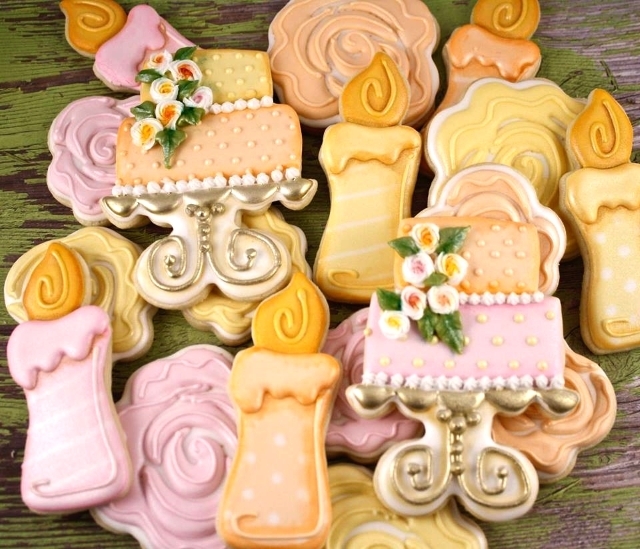 Airbrush the cookies in pearl spray. If you do not have an airbrush or are sometimes too lazy to spend the time to clean your airbrush, Wilton Pearl Color Mist spray is a lifesaver. * I love to keep the white iced roses in the freezer. Adding the petals when cookies are needed takes little time. * I have mixed the petal colors; start with a deeper color in the center and go to a lighter color for the outer petals or lighten the same color for soft blending. You NEED to catch more of Rosemary's amazing cookies!! You can find her at her website -- Sweet Kissed Confections, on Facebook, or on Instagram!! Grab the cutters Rosemary used -- Rose Cutter, Candle Cutter, or the Cake Stand Cutter.